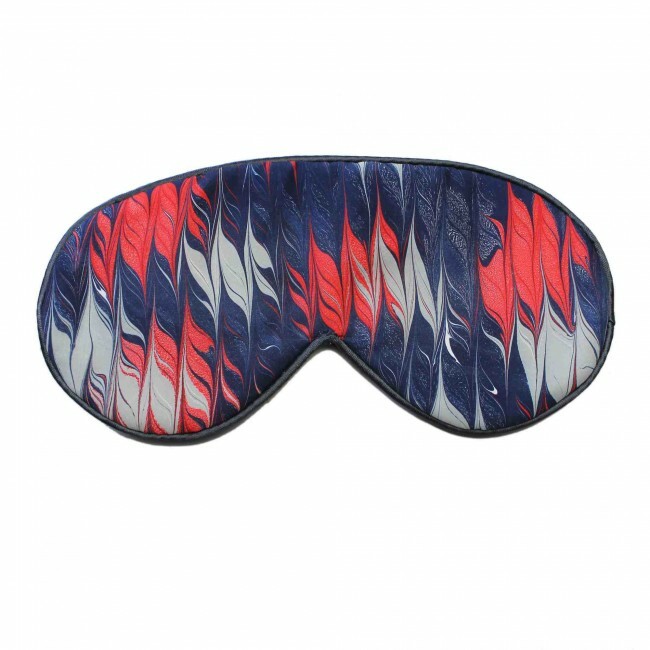 The Midnight silk eye mask is a mixture of dark midnight blue, scarlet and mid grey colours. 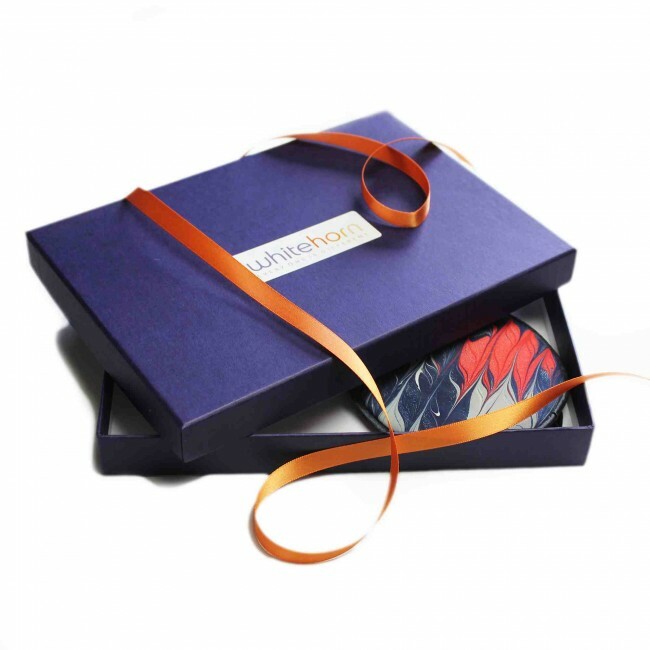 It is individually hand marbled onto 100% silk using traditional marbling methods. 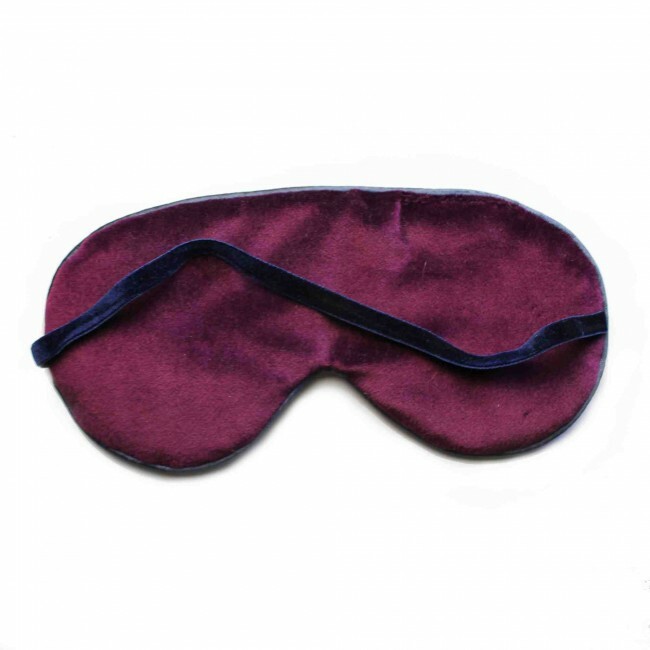 It has a dolphin grey satin trim and is backed with a padded rich plum coloured velvet. 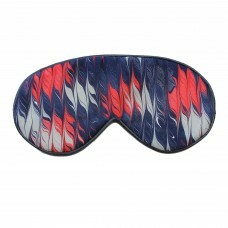 It has a dark blue velvet elasticated band at the back.